Born Derrick Bledsoe in the southern “scenic city” of Chattanooga, TN, the young “Phenom” began rapping at 6 years old. He released his first single, “Meet Me On the Playground,” at the same age, which became a local anthem for the kids. Known at that time as “Lil Derrick,” his metamorphosis into “Can Cool” should come as no surprise. Time and time again, his multifaceted talent has proven his remarkable skills as a rapper, singer, dancer, producer, songwriter, and actor, as well as his charismatic personality will herald him both commercial and transatlantic success. A consummate professional Can Cool has worked diligently over the years to perfect every aspect of his craft. He has logged more hours in the studio than in the park. He has rocked every show and won or made the cut for every audition or contest he’s entered. With the encouragement and support of his father, the intellectually sharp teenager is currently being homeschooled due to his high-demand performance schedule. Can Cool, with his boy-next-door good looks, has won the hearts of his female audience while the guys envy his impressive footwork and lyrical prowess. 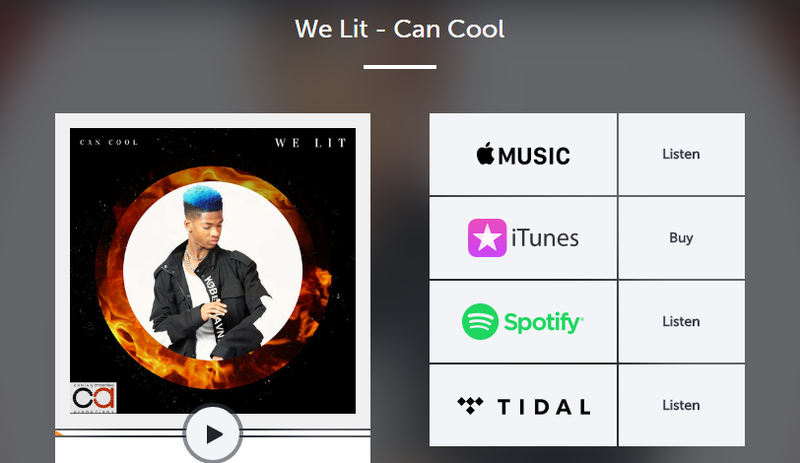 He recently released his 1st single “We Lit,” which is rapidly expanding his fan-base and he’s currently working on his EP. Influenced by TI, this whiz kid is constantly recording new music and rehearsing, all in an effort to creatively influence the world around him. 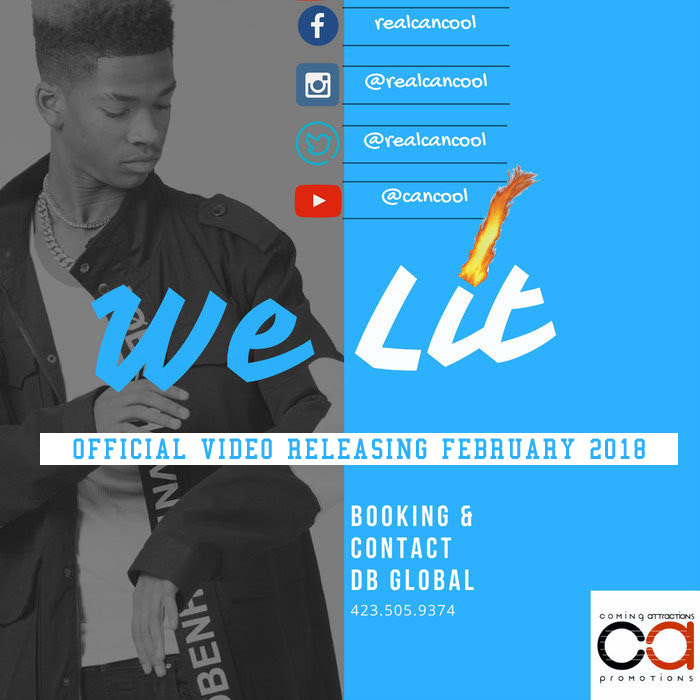 His latest single “We Lit” which Can Cool wrote and produced is currently available on all digital platforms and the visual, directed by Ron21Hoops will be released in February 2018. The video features the ATL Bomb Squad and Kameo Productions dance teams as well as a cameo appearance from DJ Pressure. 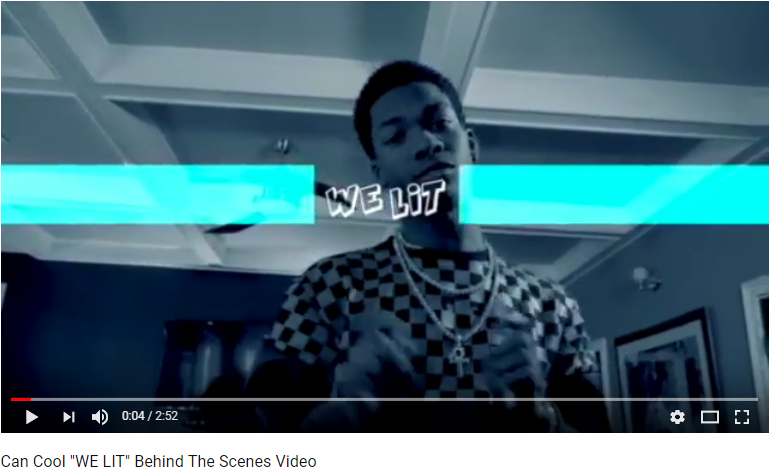 The”We Lit” behind-the-scenes video is now available on YouTube and was shot and edited by Director Apar.